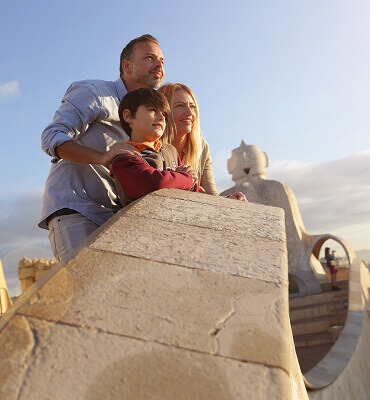 Visit Casa Mila (La Pedrera) and you will enter the world of Antoni Gaudi and discover for yourself how nature is the origin and inspiration of the building. Casa Mila, popularly known as La Pedrera, is a UNESCO World Heritage Site and the architect’s last civic architectural project. 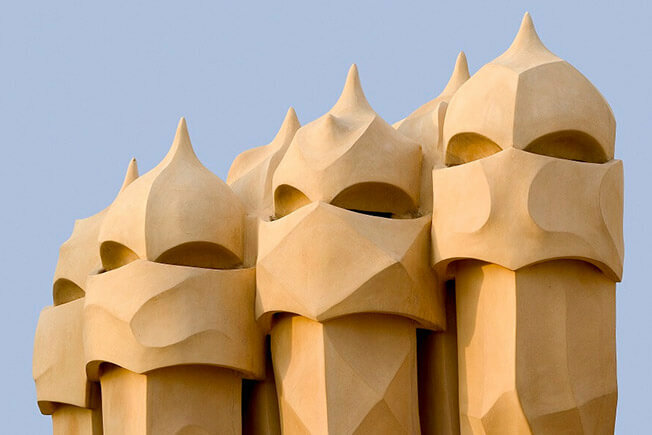 It is a unique building, a masterpiece of nature that reveals Gaudi’s boundless imagination. 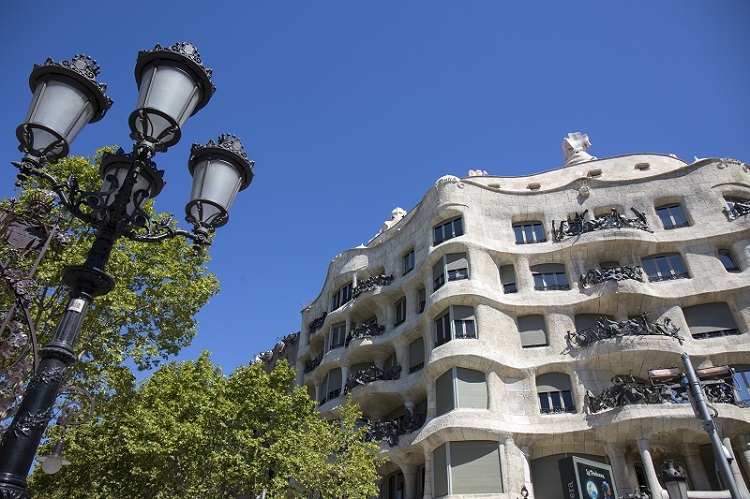 La Pedrera is also the only Gaudi interpretation centre in Barcelona and is an essential place to visit in order to learn about the architect’s entire body of work and his inspiration. 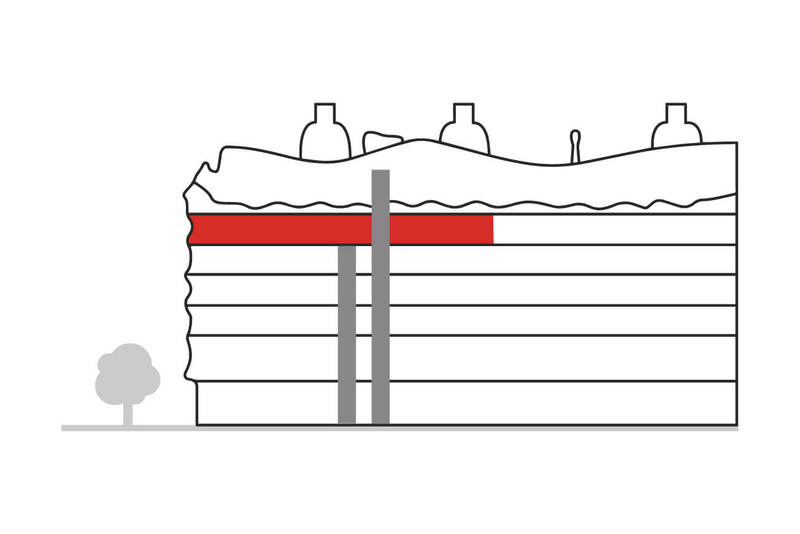 In total, you will tour 4,500 square metres divided across five floors. 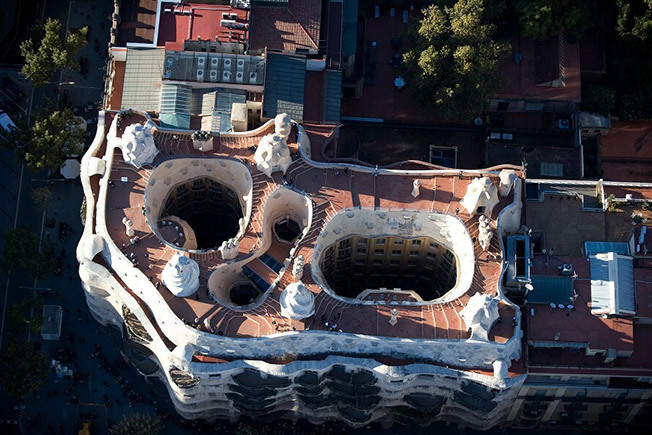 This tour, which you can follow at your own pace with an audio guide to provide you with comprehensive information, takes in the following parts of the building: the iconic Roof-terrace, with its spectacular stairwells and chimneys; the Espai Gaudi, the former laundry area situated in the attic; the Pedrera Apartment, which recreates the life of a Barcelona bourgeois family in the opening 30 years or so of the 20th century; the Passeig de Gràcia and Carrer de Provença Courtyards; and the exhibition room, situated on the main floor, the former residence of the Milas. 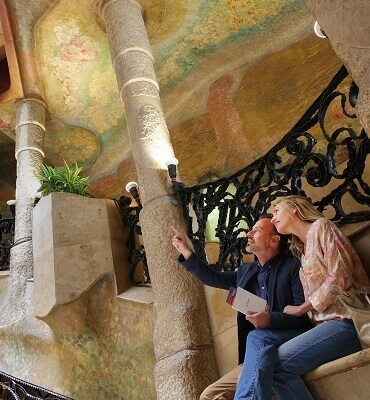 Visit La Pedrera and you will experience for yourself magical spaces in which nature, Gaudi’s source of inspiration, can be felt in every corner. 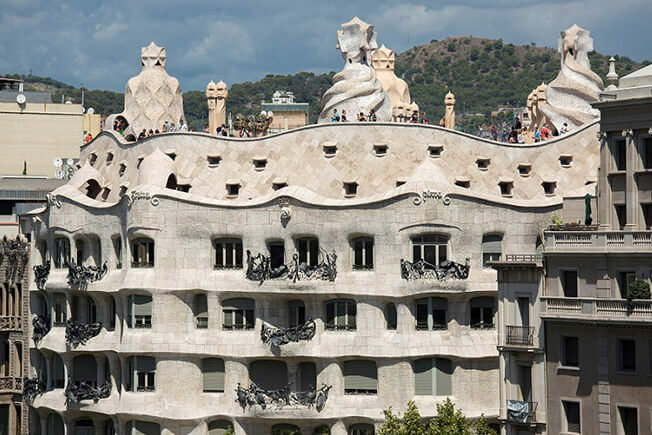 La Pedrera (‘quarry’ in English) is named after its spectacular stone façade. Like a vast wave rising up in the heart of Passeig de Gràcia, it is a huge work of sculpture, 30 metres high and 84 metres long. 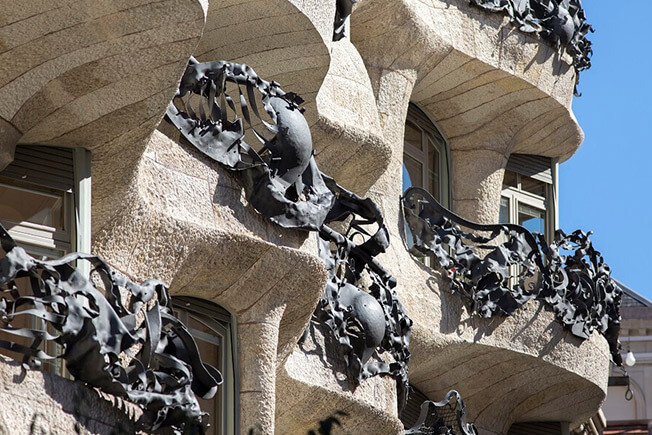 Using countless recycled elements and employing tremendous artistic licence, Gaudí created wrought-iron railings for the facades of Casa Mila as if they were pieces of abstract sculpture that call to mind the plant kingdom, possibly the depths of the sea full of kelp. 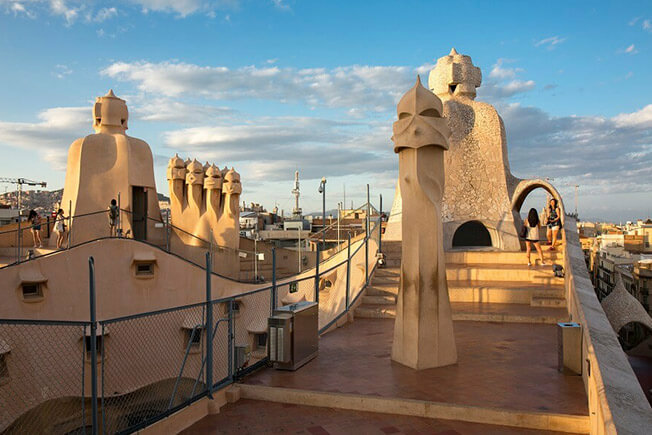 The Roof-terrace of Casa Mila is an icon of Barcelona that offers spectacular views of the city. 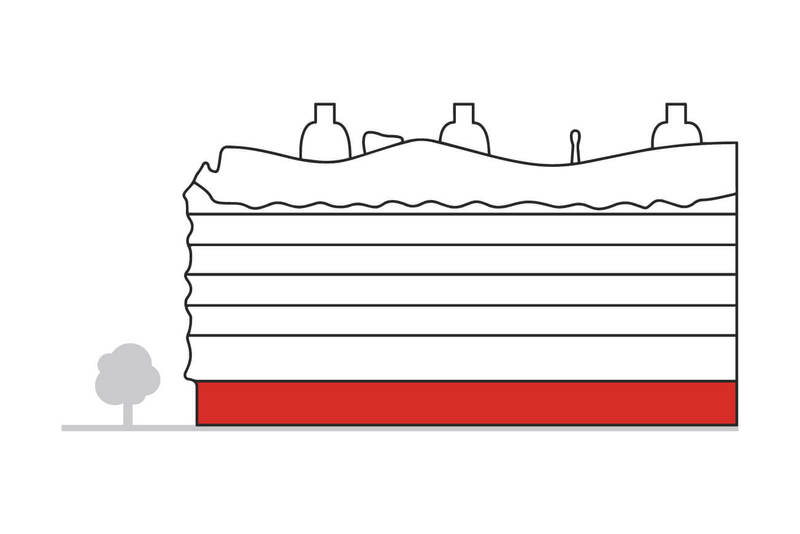 It is a remarkable space that exudes an artistic presence and is unlike anything else built at that time. 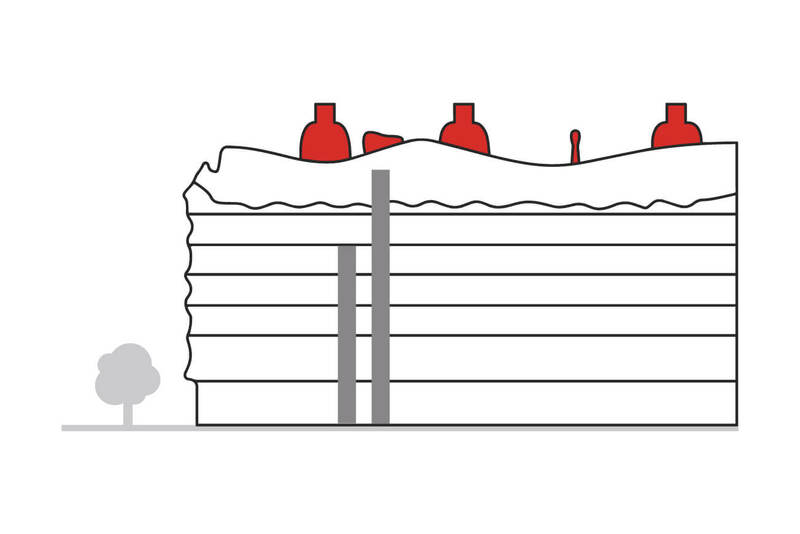 The stairwells rise up like telluric forces of nature—earth, water, fire and air—while the chimneys, like guardians of the building since time immemorial, come to life and speak to us of the origins of the building. 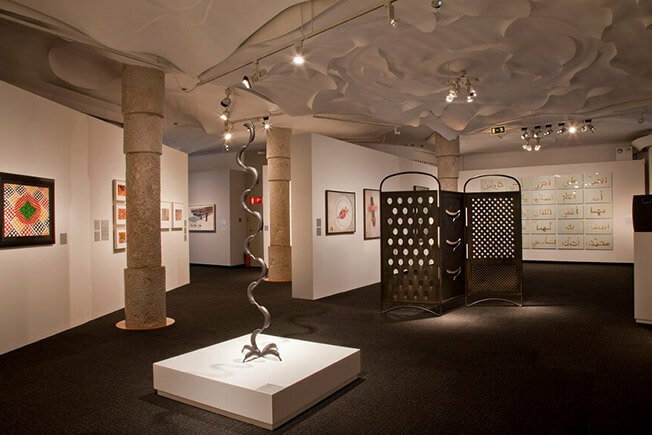 These fascinating elements are dynamic and symbolic in their forms but they serve the utilitarian purpose for which they were designed. 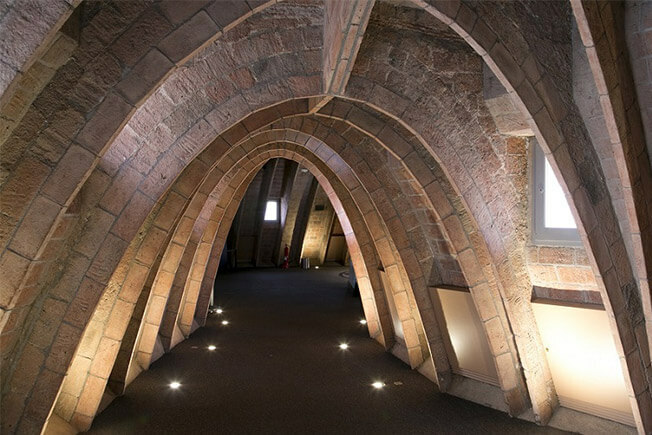 The Casa Mila attic is the most characterful space in Gaudi’s architecture. Crossing its threshold is like entering a vast living, breathing being. 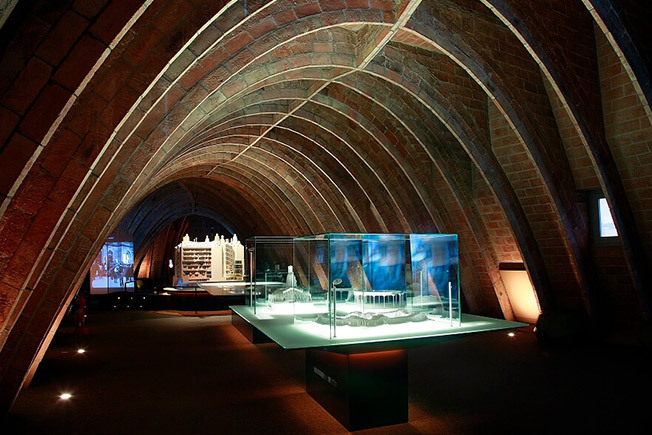 Once again, nature is present, represented in the 270 catenary arches that suggest the skeleton of a whale. 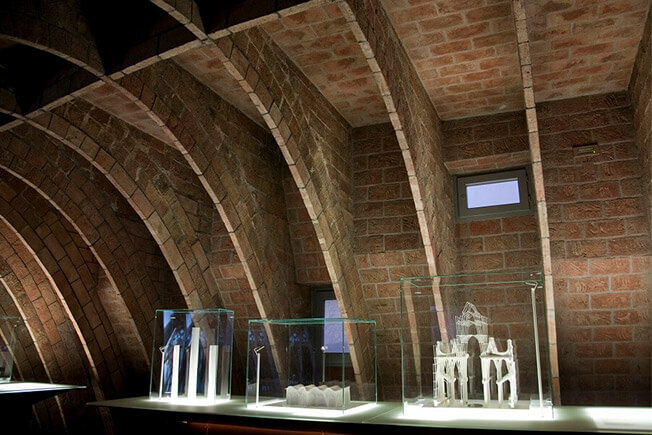 In addition, this magical space is home to the only exhibition devoted to Gaudi and his entire body of work. 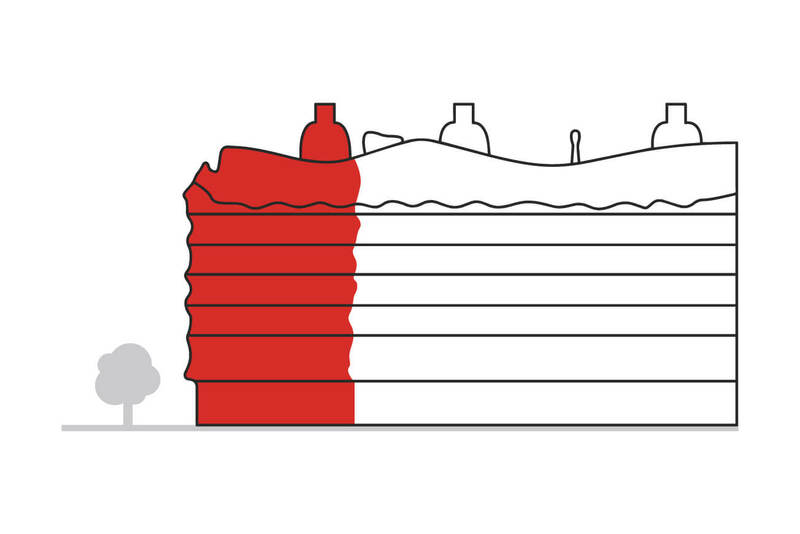 Videos, models, plans, objects and designs reveal the most remarkable characteristics of his architecture and the keys to his genius. 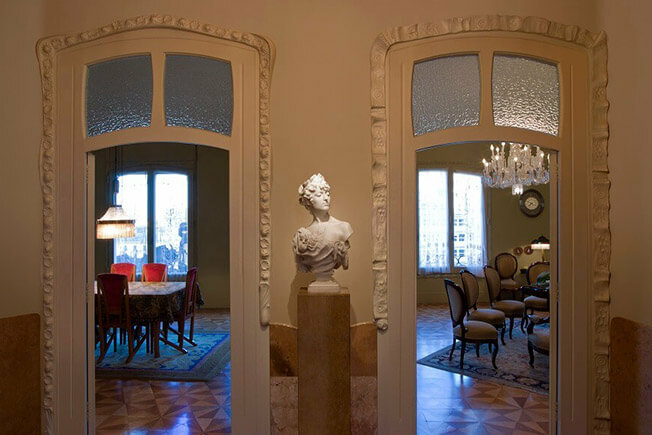 Situated on the fourth storey above the main floor, this apartment shows how a bourgeois family in Barcelona lived in the opening 30 years or so of the 20th century. 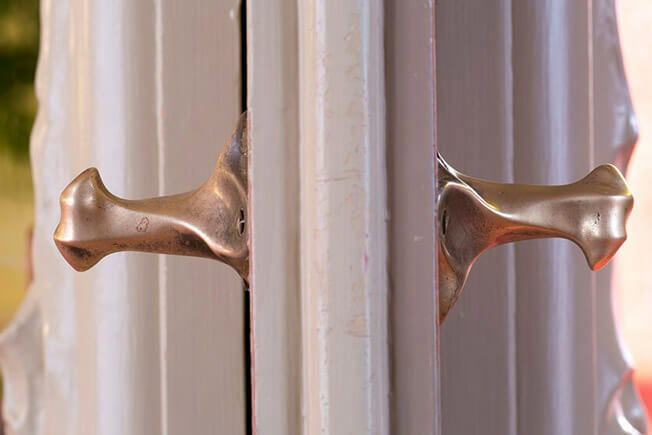 With an ambience recreated using furnishings and household equipment and utensils of the time, the apartment enables you to see how the interior was distributed, as well as the decorative features Gaudi designed such as knobs, mouldings, doors, floor surfaces and handles. 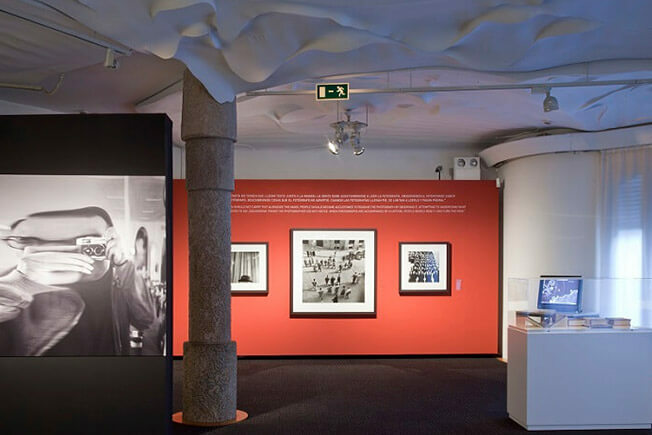 The visit is complemented by a video that reveals the rapid transformation and modernisation of the city of Barcelona during the first quarter of the 20th century. 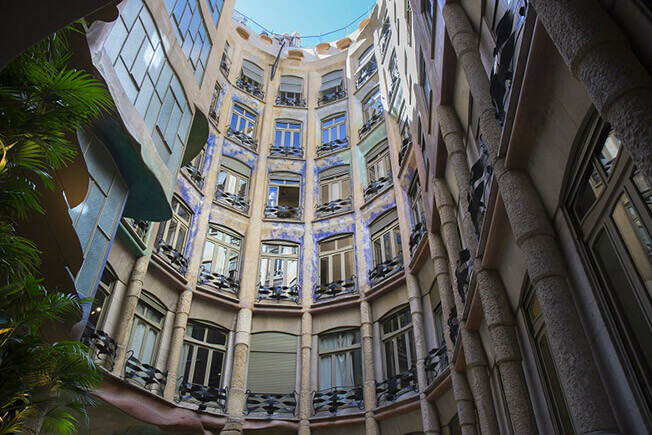 Colour springs to life in the courtyards of Casa Mila. 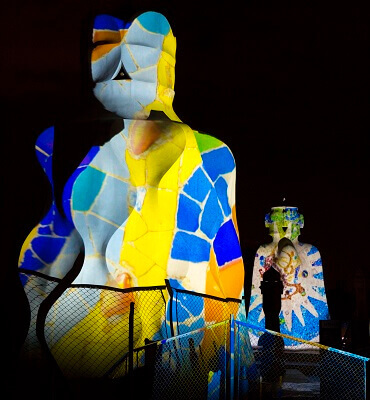 The walls are a veritable display of shapes, light and colours that contrast with the soberness of the façade. The colour comes from the wall paintings that decorate the courtyards, with mainly floral motifs that can also be found on the ceilings and the side walls of the two entrance halls and the main staircase. 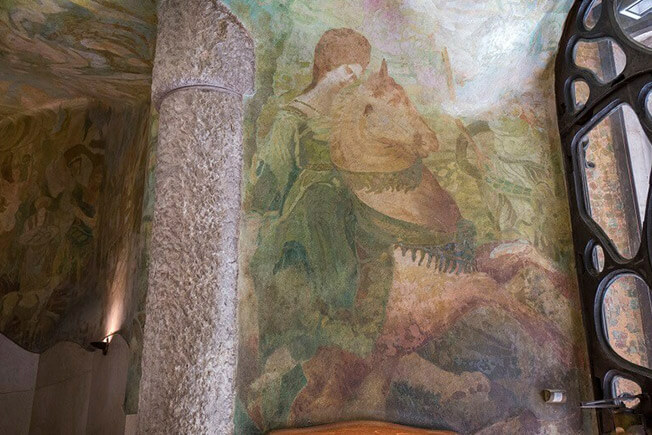 The decoration includes other references to nature, as well as scenes from myths and legends. 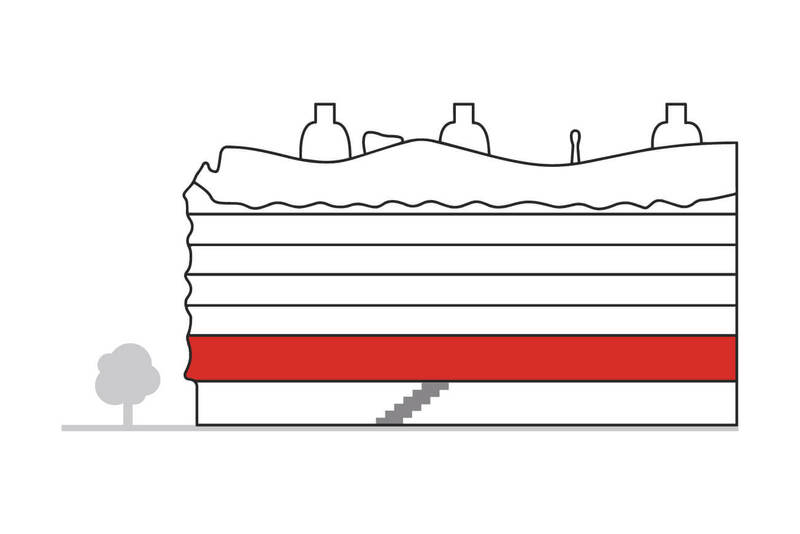 The spectacular staircases up to the main floor are worthy of close observation. 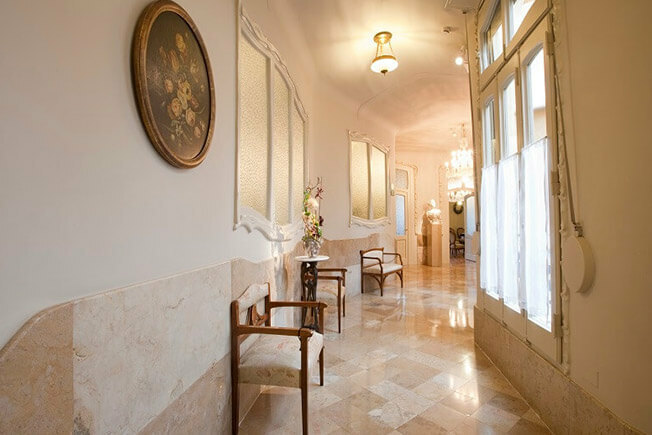 The main floor was given over to the apartment of the Milàs, the first owners of the building and the people who commissioned Gaudí to design it. 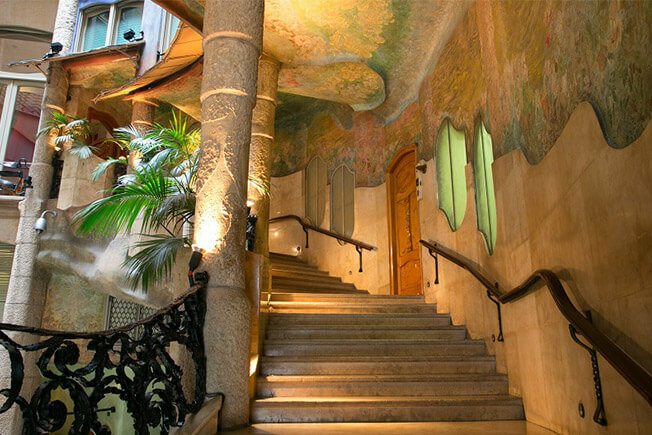 This apartment contains few of the original features, as Senyora Milà had much of the décor altered when Gaudí died. 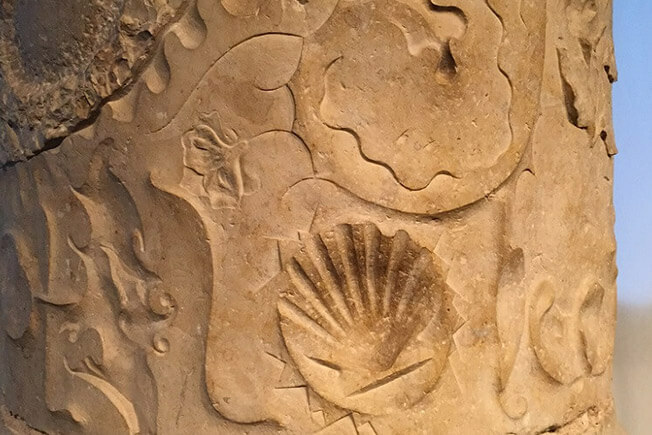 Nevertheless, there are still a number of sculpted columns bearing reliefs of shapes associated with the sea and inscriptions, as well as some areas of the impressive ceilings designed to continue the undulating rhythms of the façade. 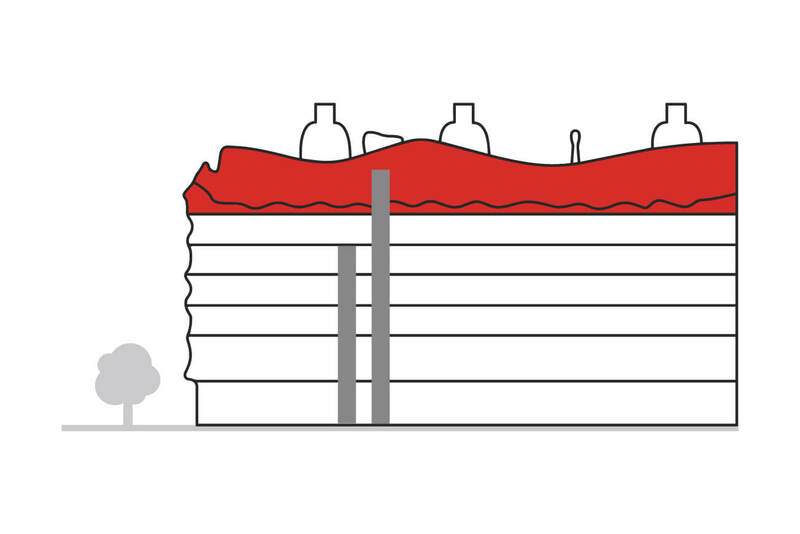 This space is not open to visitors on days when exhibitions are being installed or dismantled.